The critically-acclaimed Orchestra of St John in Bromsgrove, which gives one choral concert each season, is pulling out all the stops to perform one of the greatest and best-loved choral works of all time – Verdi’s Requiem. This work, which is almost a staged opera with four soloists, large orchestra and double choir, is Giuseppe Verdi’s setting of the Requiem Mass. The performance will feature more than 150 instrumentalists and vocalists in what will probably be the largest-scale musical production ever staged in St John’s Church! Attendees should be prepared to enjoy this emotional rollercoaster, be overwhelmed by the powerful Dies Irae and uplifted by the sublime Lux Eterna, in what promises to be a concert to remember for a long time! The event takes place on Saturday April 30 at 7.30pm in St John’s Church, Bromsgrove and tickets can be purchased in advance for £10 from the Artrix box office at http://www.artrix.co.uk or in person at Artrix, Slideslow Drive, Bromsgrove, B60 1PQ. Tickets can also be purchased on the door on the night of the concert for £12, and as always it’s free for accompanied children and students to attend. 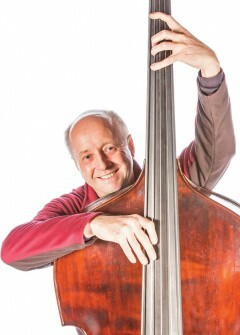 For more information on the orchestra, visit http://www.osjbromsgrove.org or call 01527 870048.